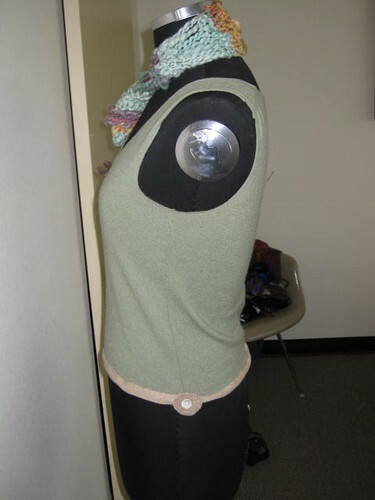 This is a cute sweater I made from two different cashmere sweaters I felted. I left the edges bare for the most part since they won't unravel. 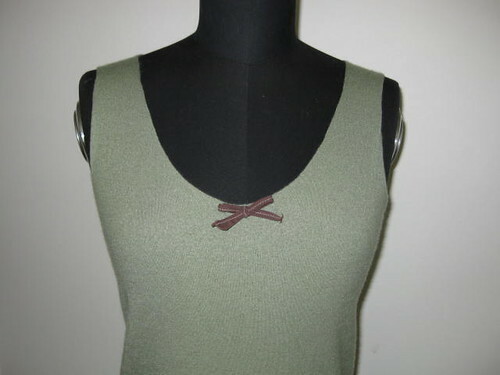 Cut the neck and armholes deeper, cut off a collar, ribbing, and cap sleeaves. 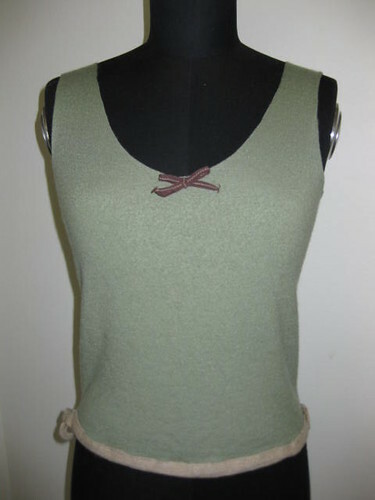 I attached the "trim" piece cut from the second sweater to add an accent to an otherwise plain tank. 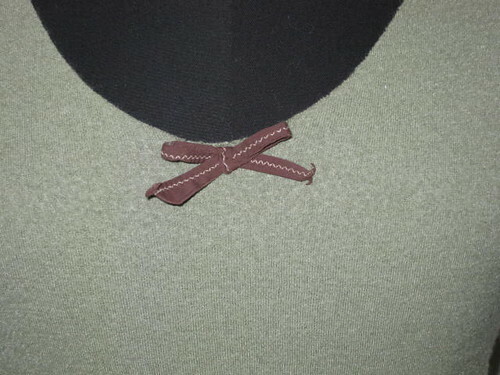 I left ends of the edging free on one side to tie them in a decorative knot. 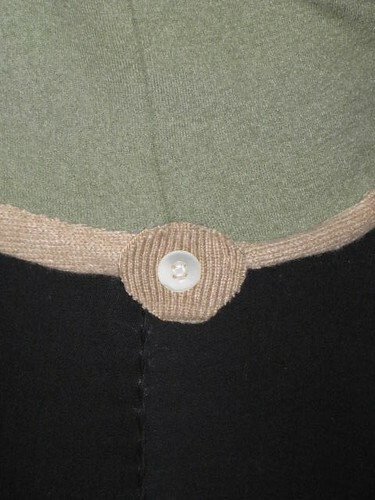 On the other side I attached a decorative bit with a button on it. 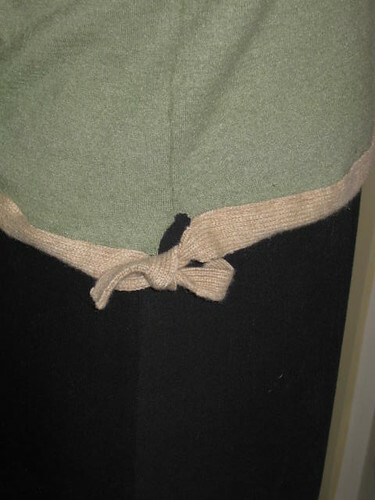 A small bow gives decorative detail to the front.